Fresh from its simultaneous launch on different channels at noontime today, here’s the official full trailer of BEAUTY and the BESTIE starring Vice Ganda, Coco Martin, James Reid, and Nadine Lustre. This is one of Star Cinema’s two entries to the Metro Manila Film Festival 2015. Ngayong Pasko, #MerryGalo kami sa inyo! 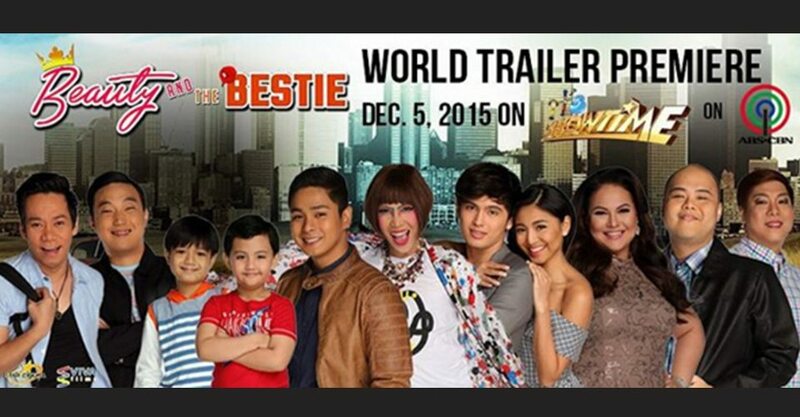 Catch the world trailer premiere of #BeautyAndTheBestie today on #ShowtimeAguinaLdo! Tutok na!